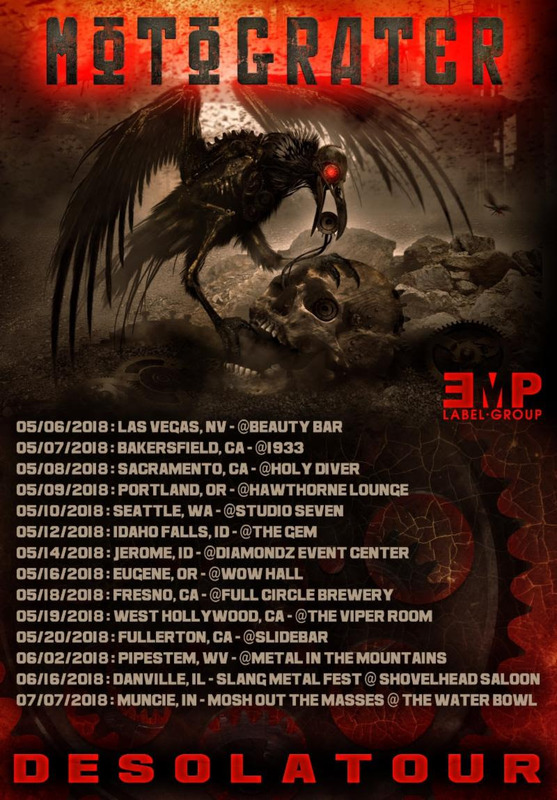 MOTOGRATER have announced several spring and summer tour dates, set to begin on May 6 in Las Vegas, NV. The set of dates will run through June 2 in Pipestem, WV when the band performs at Metal in the Mountains. Two more festival dates will follow in mid June and July. See below for all currently confirmed tour dates. 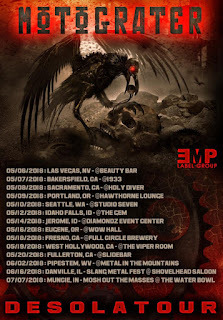 Guitarist Matthew "Nuke" Nunes says, "We are so excited to finally get back on the road! We have a deadly new line-up and are ready to crush the stage every night. C'mon out and witness the beautiful mayhem we will ensue upon the metal masses!"